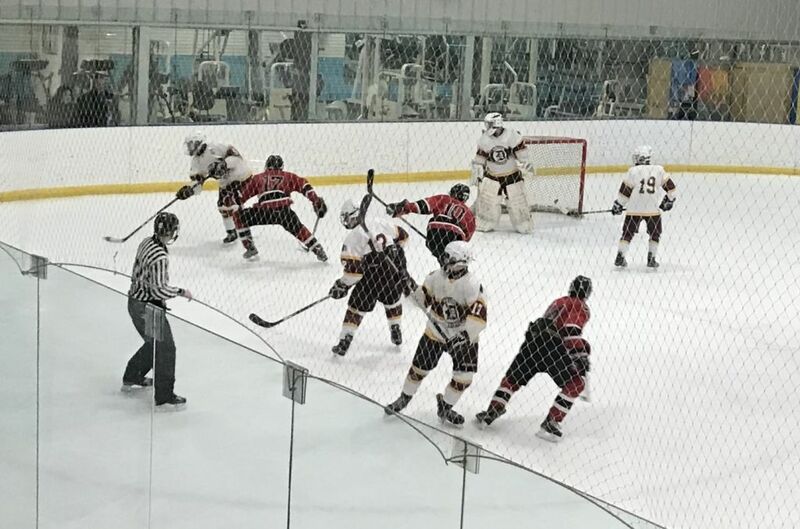 It was a relatively quiet first few minutes of the game for both teams, but the Marquette Redmen were having to fight through some laziness after not playing for more than days due to schedule changes. Lines were switched around to help balance players who were more worn out after the previous night’s contest that ended in a shootout. The Redmen were called for an interference penalty midway through the first period, but they played some great defense to prevent any scoring. The first period ended with little fanfare, and the game would be reset going into the second. 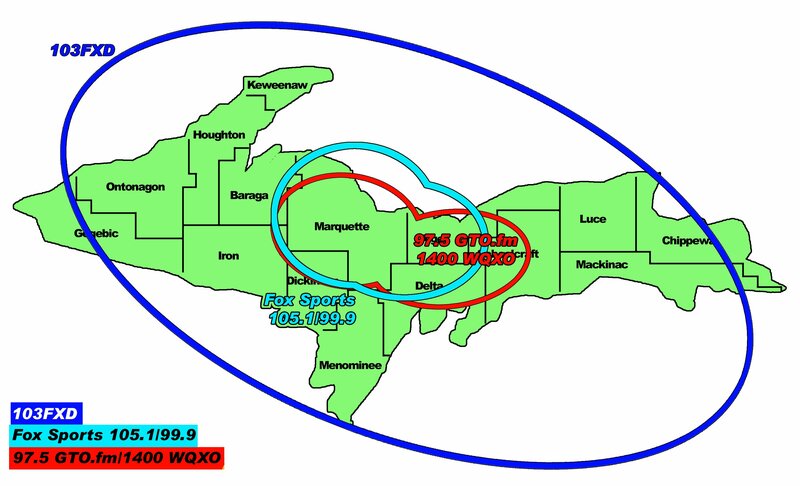 Just a minute into the second period, the Marquette Redmen were again called for a questionable penalty after a hard open-ice hit, but their great defense shut down the power play. At three minutes into the second, the Redmen goalie lost his stick, and that was a death sentence during in conjunction with a penalty kill. The Cardinals put the first goal of the game into the net, and the Redmen found themselves trailing 1-0. Frustration could be felt from the Redmen bench when they were called for their third penalty of the game just seconds after the goal. 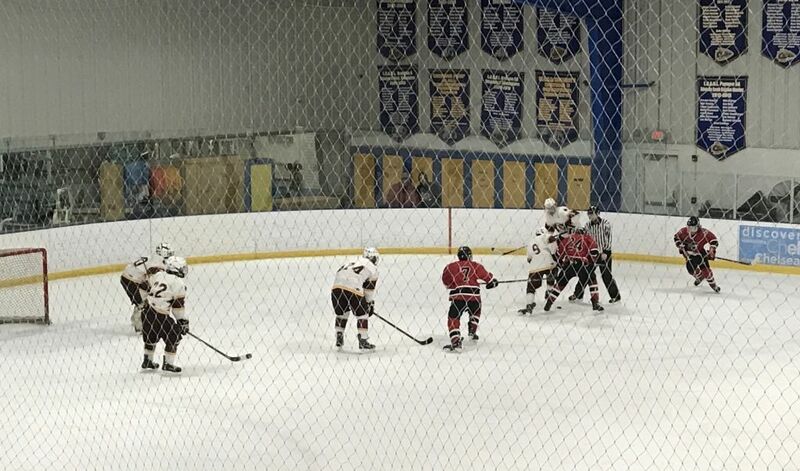 In much the same fashion as their first goal, Davison put the second goal of the game into the net on their third power play of the game, but the Redmen responded just :12 seconds later with a Kobie Guidebeck goal, making it 2-1. 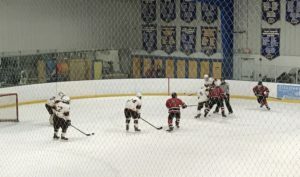 Marquette went on their first power play of the game just under midway through the period, but they were unable to break through the Cardinals’ defense. 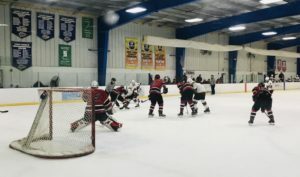 The Redmen were able to tie the score at 3-3 thanks to a flurry of goals in the final seconds of the second period, and the game have to be settled in the final period of play. After a wild end to the second period, neither team had a clear advantage in the third. 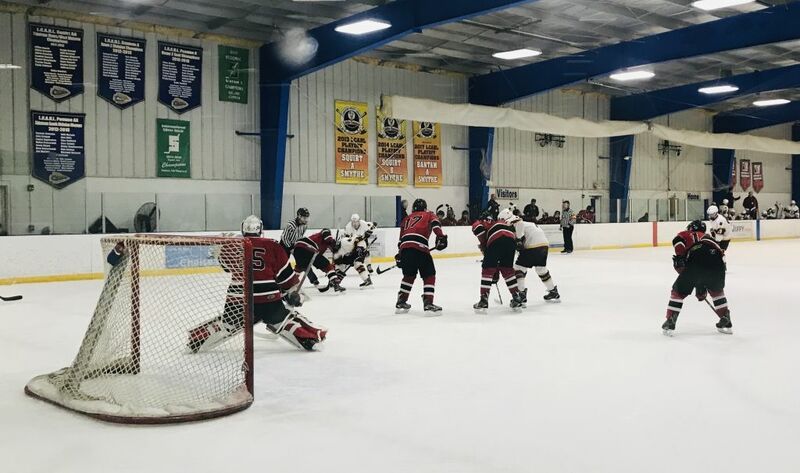 The Marquette Redmen hoped to carry their momentum into the period, and they came out of the locker room firing on all cylinders. As the final period passed under the 12:00 mark, neither team had any major scoring opportunities, but Marquette was doing an excellent job using the open ice to spread the game out and generate fast-break scoring chances. 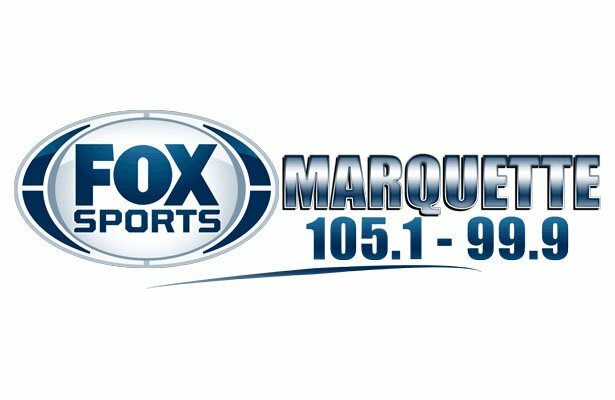 At 10:43, Marquette was called for another questionable penalty, and they had to defend against the Cardinals’ best line. The Redmen put the puck into the net on another Kobie Guidebeck goal, and that allowed them to take their first lead of the game at 4-3. The final minute of the game approached, but the Cardinals didn’t pull their goalie until under :30 seconds. This allowed the Redmen to skate even-handed late, and they even were able to score an open-net goal to go ahead by two before the final buzzer.